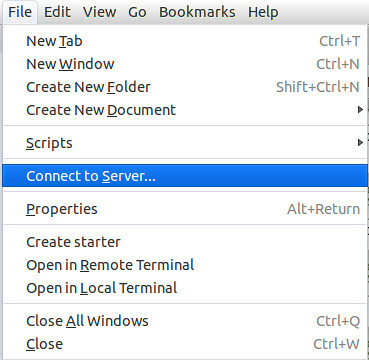 Since Ubuntu turned to Unity desktop in Natty, the old “Connect to Server…” was moved to Nautilus file browser’s file menu. 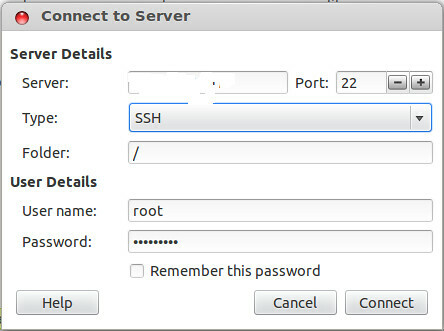 This simple tutorial will show you how to ssh, ftp, http access to remote server within Nautilus. 1. Launch Home Folder from the unity launcher, navigate to File -> Connect to Server…. 2. Now you get the old familiar connect to server dialog. 3. Input remote ip, select connect type, input usrname and password, finally click connect button. 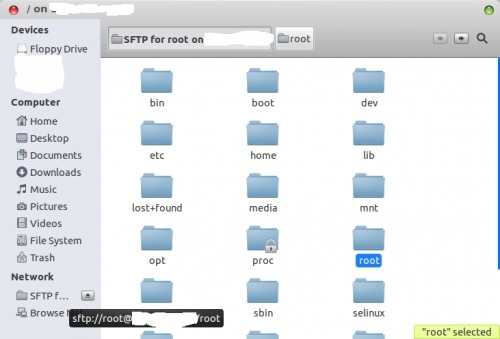 2 comments to ''SSH/FTP/HTTP Remote Server using Nautilus in Ubuntu/Linux Mint"
In Trusty, Nautilus no long gives option in ‘Connect to server’ to specify type e.g. ssh & user/password. Any ideas?